Nadeo has already made a name for itself with its Trackmania racing series for PC. Quick and sometimes crazy user-created courses task the player with getting the best lap time, making for a pure gameplay experience which can be hard to put down. The company is now trying to introduce some similar concepts into the first-person shooter genre with Shootmania Storm. Shootmania is certainly a simple game, at least on the surface. At a glance, it may remind some players of Quake due to its fast-paced action and feel, but don't be fooled: this is definitely a game all its own. One that really deserves your attention. The controls for Shootmania Storm are incredibly simple, as there are only two actions to worry about: shooting and jumping. Sprinting is mapped to the same button as the jump button, so it is not possible to sprint without first being airborne. Initially, it seems like a strange and restrictive mechanic, but it ends up adding way more depth to the gameplay than one might expect. Additionally, a Stamina gauge limits sprinting, so knowing when and when not to sprint is a big factor in terms of success. The default projectile in Shootmania is not a "hitscan" weapon. In other words, the shot takes time to get to where it is going; it is not instantaneous -- think of it like a rocket launcher. Projectiles leave a huge colored trail, allowing other players to see where shots are coming from and, if they are quick, avoid them. The main projectile has four shots that, in most modes, refill when not firing, so unloading four shots at once will leave the player vulnerable for a short time. Being in certain areas around the map will alter the projectile into a different weapon. These areas are generally single buildings or enclosed areas on the map, but are not clearly marked. There is a railgun that travels almost instantly across the map, but still has some travel time and only allows one shot before it needs to recharge. The "nucleus" is a sticky grenade-esque projectile that will explode, covering a wide area and comes with two shots. Knowing the areas on the map that transform the gun into a different projectile becomes integral when competing, as strategically using the various shots at specific moments can have a big impact on the round. Each player also has armor, which represents how many hits they can take before being eliminated. The amount of armor varies per mode; in the 1v1 Joust mode each player has six, while in the free-for-all Royale mode, each player has two. Regardless of mode, playing with only one armor left is one of the most intense competitive experiences out there. The mapping of sprint and jump to the same button is crucial to how the game is played. As mentioned, there is no sprinting without first being in the air. It is possible, however, to start sprinting after an elevation drop, so that the sprint activates in the air and the player hits the ground running. There are specific points on the map that will prohibit jumping and allow players to sprint while staying grounded, which reaffirms how important map knowledge is. The restrictive areas of the map look different than normal tiles, usually with a smooth, metal surface to indicate where players cannot jump. You don't want to be caught trying to jump in an area where it is impossible. Jumping in general can be very dangerous itself, as a weak jump means a more predictable travel path. Since each projectile requires some prediction on the part of your foe to score a successful hit, it is ideal to be as unpredictable in your movements as possible. Rapidly strafing at random times is common in Shootmania, even if it does make you look like you’re performing Victor Cruz' end-zone dance, as it makes it harder to predict the next move. It is also possible to wall jump by looking downwards and jumping while touching a wall. Mastering this is a huge boon to any player, but doing so consistently is challenging and will take a lot of time and patience. Luckily, players in the community have created obstacle courses with the in-game map editor, allowing everyone to practice wall jumping, sprinting, and timing in general whenever they want. The game could use a bit more tutorializing. Although the controls are simple to comprehend, they lend themselves to some advanced techniques. I had no idea wall jumping was even possible until I was presented with a seemingly impossible feat during an obstacle course map. I also spent a lot of time in matches typing to my fellow players trying to figure out just how some of the game modes functioned. An interactive tutorial for the game in general -- and additionally one for each specific mode -- would have gone a long way to help new players. There are four main modes, supplemented by a script editor that allows players to create their own modes, such as the aforementioned obstacle courses. The main modes are Joust, Elite, Battle, and Royale, the majority of which feel unique and can get intense. The only main mode that I would consider standard is Battle, in which two teams vie for control of points around the map. Royale is a free-for-all game mode with over a dozen players and a single "pole" in the center of the map. After a minute of play, the pole can be "captured," which is when the real competition begins. Once the pole is captured, no players are able to respawn after being eliminated and a tornado encircling the map will slowly close in, making the map smaller and smaller around the pole. Once the map consists of an approximately twenty yard diameter around the pole, the remaining few players are forced into a close-quarters battle. Being one of the final two or three players left with only the pole to act as cover is easily one of the most adrenaline-pumping moments I’ve experienced in recent history. 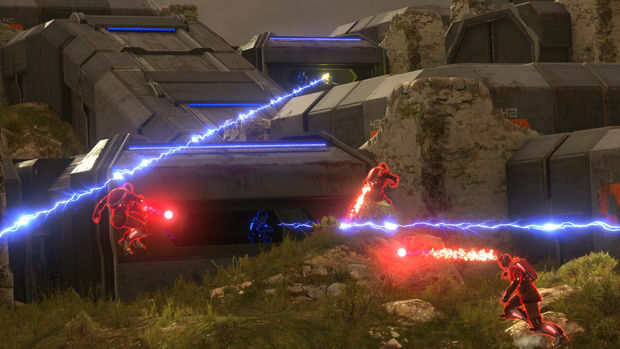 Elite is a team-based mode about capturing a single point, but the attacking team only has one active player at a time. The defenders all play at once, with a maximum of three players, and fire the standard projectile to protect their point. The attacker has as much armor as the defending team has players; i.e., if the defending team has three players, the attacker has three armor. 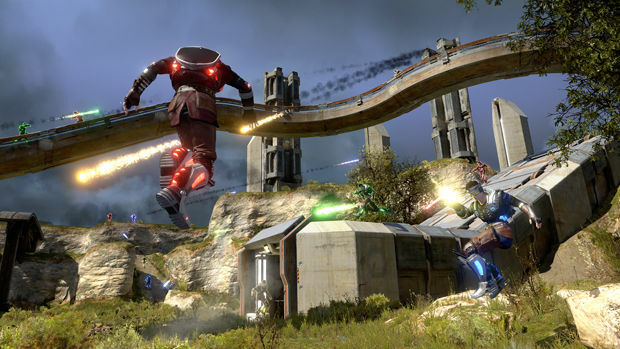 The attacker is afforded a railgun, making it easier to hit targets, and defenders are eliminated in one hit. Being the attacker brings a huge rush of adrenaline, as you know that the rest of your team is depending on you and most likely watching you in first-person mode. Joust, a 1v1 game mode, takes all of the adrenaline of being the attacker in Elite and combines it with the rush of being one of the last two players in Royale. In Joust, shots do not recharge, but instead are refilled once a player goes to one of the two poles located on the map. The players have six armor, and it boils down to one simple fact: who is the better player. 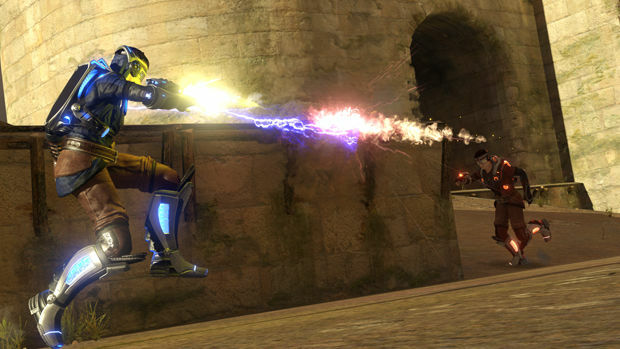 It is a true test of skill, and there is no greater feeling than besting someone in a game of Shootmania's Joust. There is a matchmaking system in place, but the only modes that consistently have people playing are Battle and Royale. Trying to use matchmaking for Joust will almost always result in no results. I have only seen one server up at a time for that mode, and even then it was a rare occurrence. While Elite will occasionally have a handful of servers up depending on the time of day, it is anything but consistent. 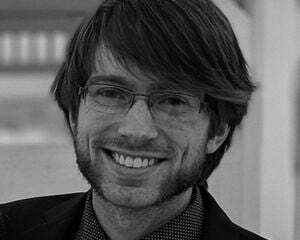 Shootmania is very popular in Europe, but playing in a European server from North America will result in an unplayable ping, especially considering how precise shots need to be in the game. It is unfortunate that the player base is so tiny, since the core game itself is so damn satisfying. The game's menus look as if they aren't finished; rough edges, basic shapes, and text reminiscent of WordArt permeate each screen. It does help convey that "simple" look that the gameplay reflects, but there is a fine line between "clean and simple" and "bare-bones." Unfortunately, Shootmania strayed a little too far over that line in the wrong direction. The starting menu is also needlessly obtuse. Upon booting up, the player is greeted with a handful of tiles with no real indication of what they are. The biggest tile, simply labeled "Shootmania Storm," ends up bringing up a list of all possible servers, instead of servers of a single game type. There are some basic filters available, but it is impossible to sort the results by players on the list. The map editor has both a simple and advanced mode, but the simple mode is almost too simple and strips away most of the objects and terrain. The advanced mode may as well be the only mode, as it contains everything you would need to create maps resembling the official ones. Although the map editor feels a bit clunky to use, it's more user-friendly than expected. Also included is a script editor, which opens the floodgates for a huge variety of user-created content. This, however, is the opposite of user-friendly -- I won't even pretend to know what I'm doing with it. There is already a Horde Mode-esque game mode created, complete with bots. It's not exactly easy to install and use, but it is there and is supported by the game. Shootmania has no shortage of visual and auditory information for the player to take in. The trails on shot projectiles are a clear design decision to show the player where the shot came from and to give incoming shots a large visual presence so they are visible from large distances. Likewise, getting hit will not only take a nodule away from the armor count, but the player's screen will glow and a distinct sound effect will play to let both players know that a hit has occurred. The maps themselves come off as visually basic, with tilesets that seem similar to one another and don't deviate much from the "grass and concrete" theme. The maps are well-designed, but the aesthetic is a bit bland. The graphic fidelity is definitely nice with little to no latency issues while playing within the same continent. Playing worldwide will, just as with any online multiplayer game, be a bit laggy. 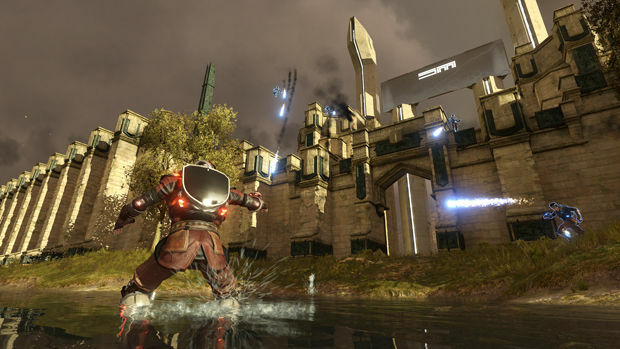 Shootmania Storm is a community-centered first-person shooter with next to no community. It's an unfortunate situation, but one that the game finds itself in nonetheless. Though the menus are clunky and the game doesn't do much to welcome new players, the core game of Shootmania Storm is so wonderful to play that I can't help but want to always improve. It has a remarkably high skill ceiling, even if the basic controls seem simple at first. I believe the phrase is "easy to understand, difficult to master." Yeah, that fits this game perfectly.